Search and adopt a Bulldog near you. The American Bulldog has also been used to hunt everything from squirrel to bear, and has been trained to drive cattle and guard stock from predators. True grit. True devotion. True love. 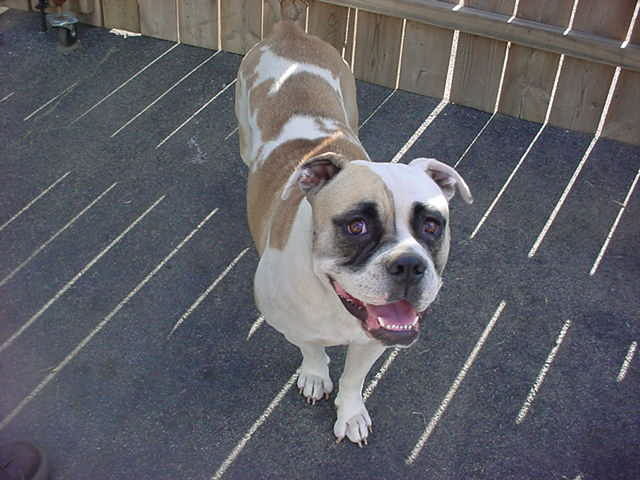 These tributes are used often to describe the American Bulldog. A hardy, athletic, all-purpose working dog. The American Bulldog is a loving family companion, good with children and other pets and fearlessly determined.